Just a little update first in the new year and a bit delayed! I worked on the Hands in the Sea Box Art for Knight Works Games. 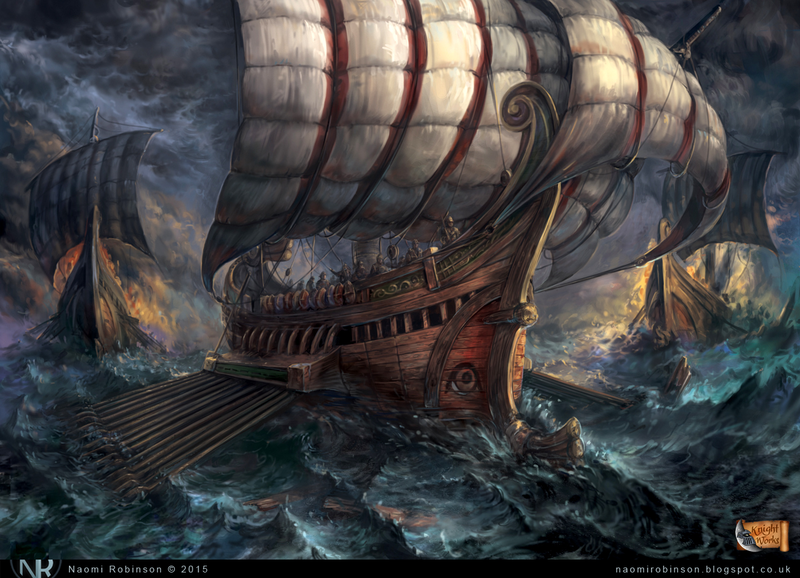 The theme was Roman Warships battling on stormy sea. Nothing quite so fun as painting stormy sky and rough sea!